District, Yichang, Hubei province, China. 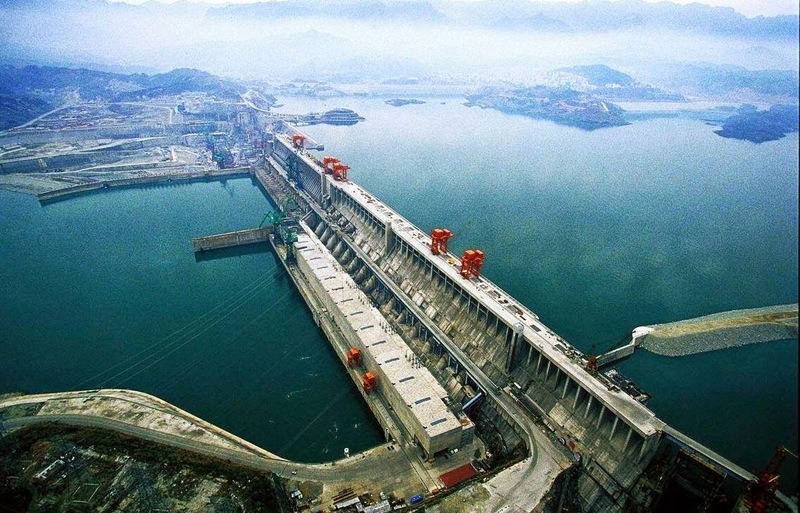 The Three Gorges Dam is the world’s largest power station in terms of installed capacity (22,500 MW) but is second to Itaipu Dam with regard to the generation of electricity annually. Navigation: Two-way lock system became operational in 2004. One- step ship elevator due to open in 2009. Dam length : 2,309 meters (1.4 miles) divided into three parts. 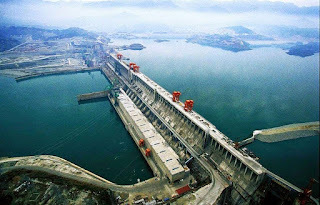 In the center will be a 484-meter spillway section with 23 bottom outlets and 22 sluice gates. On the left and right of the spillway will be two giant power stations.